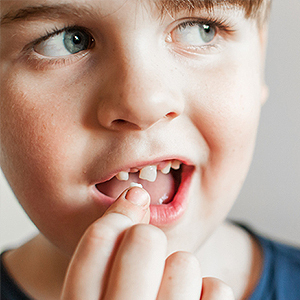 Do you have one or more missing teeth? Are you ready to have them replaced? If so, making a trip to see David J. Campbell, DDS in White Lake for removable dentures is one great way to restore your beautiful, healthy smile once again. Here are three questions your general dentist will ask to help you determine if removable dentures are the right option for you. When you visiting your general dentist in White Lake for tooth replacement, you generally have three options: dental implants, bridges and dentures. Dental implants and bridges are typically the most durable and long-lasting, but they are more invasive and not everyone qualifies. If neither dental implants or bridges are a realistic option for you, dentures may be the next best thing. Dental implants and bridges are more durable and long-lasting, but these extra benefits don't come without an additional cost. Not only are they more expensive and invasive, but they can take longer to place too. If you don't have or don't want to spend the extra time and money, removable dentures may be the quicker, easier choice for you. Because of the way removable dentures attach to your remaining teeth, often with wires or clasps, they provide extra opportunity for food particles and bacteria to get caught in the small cracks, crevices and spaces, where they can lead to increased cavities and infection. If you choose removable dentures from your White Lake general dentist, you will need to be able to make proper oral hygiene a priority. Whether you are missing one tooth or several, you likely have several options for tooth replacement. Call and schedule an appointment with Dr. Campbell to discuss your options today. Your trusted general dentist in White Lake, Dr. Campbell will help you decide which option is best for you.